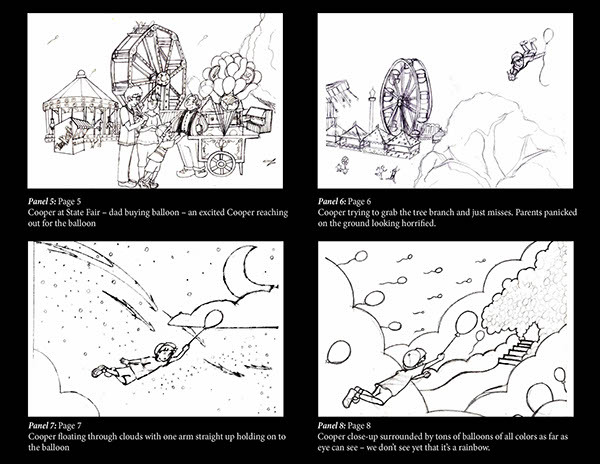 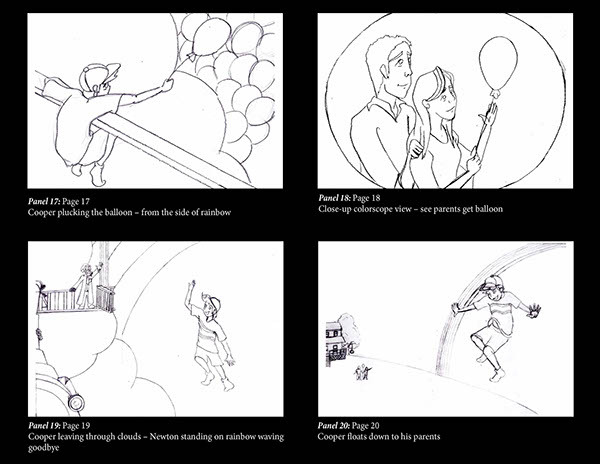 The storyboard sketches for the privately commissioned story called, "Where the Balloons Go." 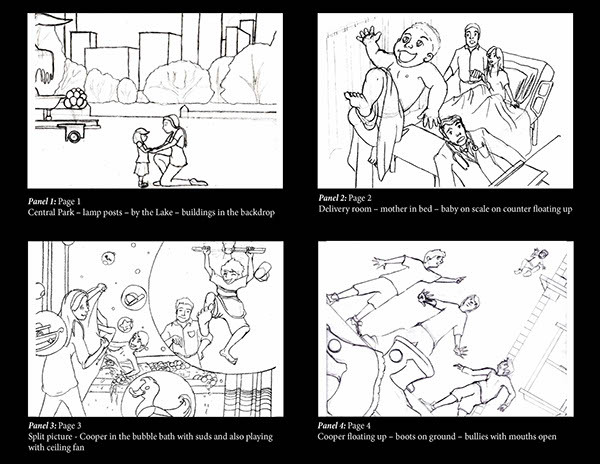 Directions were given by the client by how many images they wanted and what they wished portrayed in each. 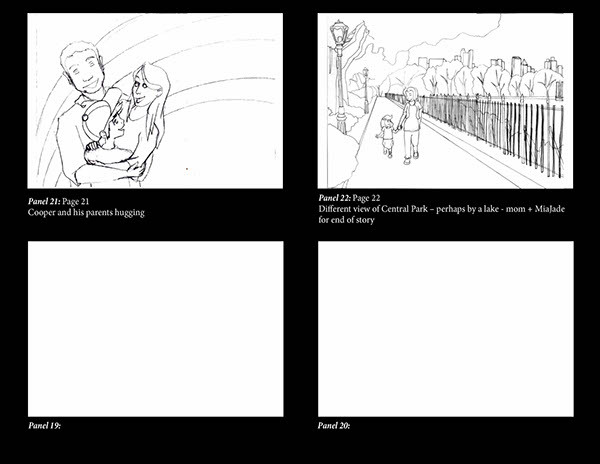 There are differences between some of the finals and these sketches but these panels show what was done. 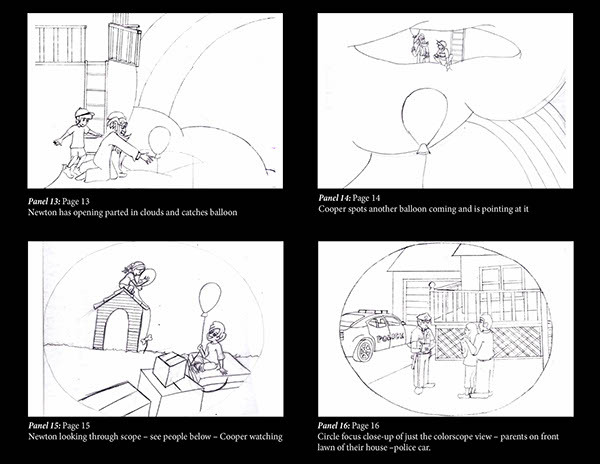 Sketches done for the commissioned book called, "Where the Balloons Go" placed in a storyboard. 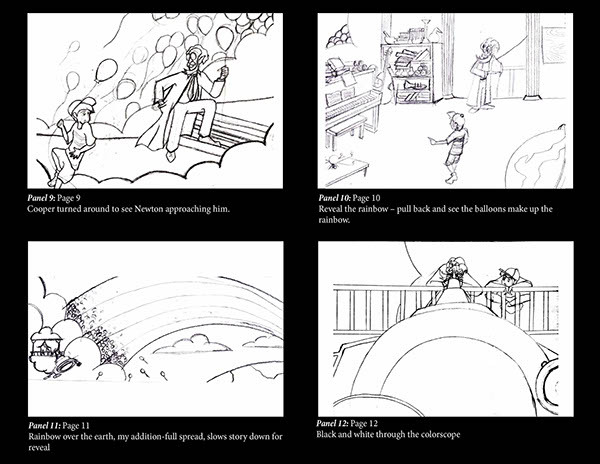 To some final pieces, see "Where the Balloons Go" on this page.